Today is Abraham Lincoln's 200th birthday. He's so ubiquitous in our pop culture that one could believe he's still running about like any other celebrity - but this granite tomb in Springfield, Illinois says differently. 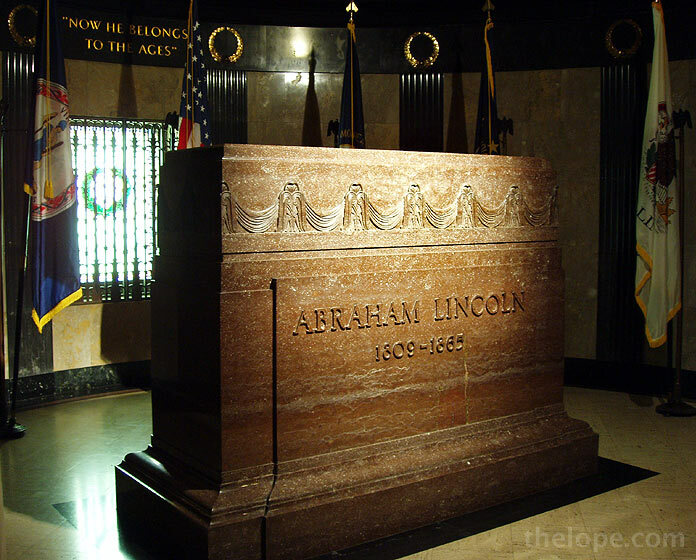 The solemnity of Lincoln's tomb is surrounded by some very nice art and architecture, and the vicinity is garnished with no small amount of kitsch. Take a look, in a little story we called He Belongs to the Ages (but you can still buy a souvenir.